Fresh City Farms Review for 2019: Is it a good service? Our Fresh City Farms review is slightly different than the other meal kit reviews that we’ve done, due to the necessity of describing a much different company. 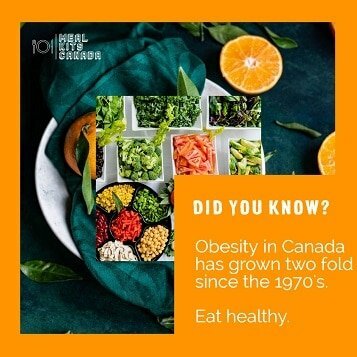 While Fresh City Farms does provide meal kits that can be directly compared to the larger Canada-wide companies like Hello Fresh, they are also more of a “healthy food delivery company” and are now adding storefronts and pickup centres to their service portfolio. While you can use the company purely to get one-off meal kits delivered to your door, Fresh City also offers the ability to quickly purchase a variety of other organic health-conscious “Whole Food-sy” options. In addition to their expanded focus, there are two main points that serve to differentiate Fresh City from other meal competitors. 1) They are only available in the GTA (including Mississsauga). 2) Their focus on locally-sourced, organic goods is their calling card. The lawyer-turned-farmer-turned-CEO Ran Goel has stated that Fresh City meal kits contain, “almost 100 percent organic” ingredients. While eating organic is not my cup of tea (at the risk of getting into a heated debate, I honestly don’t believe that depending on what your definition of “organic” is – for there are now many definitions – it is responsible from a world food production standpoint to advocate for exclusive-organic agriculture) the company’s tagline of “Fresh. Organic. Delivered. Healthy eating made easy.” is certainly effective! -Focus on organic and fresh is unique. -Delivery using fuel-efficient vans and bikes speaks to the values of the company. -The ability to order a basic “vegetable and fruit bag” in addition to any meal kit is pretty cool. -Pickup centres might be ideal for you if you live in a condo or apartment that doesn’t have a good parcel management system in place. -Due to their business being pulled in multiple directions, we’re not sure that meal kits will be their main focus going forward. -Several Facebook and Yelp reviews talked about over-ripe food and the presence of pests such as aphids on their food, etc. Longtime farmer’s market buyers will tell you that this part of the tradeoff when you opt for pure-organic options. -Bigger portions. For their omnivore meal kit, Fresh City Farms measures by total meat weight, and this often includes using one piece of meat vs two separate ones. All-in-all, I think Fresh City is more marketed towards vegan/vegetarian proponents than meat-eaters anyway, so I’m probably not their target market. -As a Toronto-only company, Fresh City isn’t available to most Canadians. -The $27 minimum order and added delivery charges are different from other Canadian meal kit companies. -Lack of insulated cardboard box makes me skeptical of keeping meat cool in hot months. Fresh City Farms is a unique and noble idea making fresh organic product accessible to GTA and Mississauga, offering minimal packaging, great quality of products, pickup from multiple areas, and using environment friendly vans. On the flip side, the portion sizes on meat are insufficient, delivery charges are high, and packaging doesn’t include insulated cardboard. When you order from Fresh City Farms, their three most popular options are their bags. (No insulated boxes from Fresh City like you will find with Canada-wide meal kit providers like Goodfood, Chef’s Plate, or Hello Fresh.) Here’s a quick breakdown of their most popular bags. Fresh City Produce Bag: Whatever is fresh and in-season around Toronto. Fresh City buys up locally-sourced veggies (including from their own greenhouses) and delivers them to you. Contents of the bag vary from week to week, and you can’t handpick what produce you want with this bag. You’re basically signing up for a surprise food subscription box of local veggies and/or fruit. You can choose from various sizes and if you want exclusively fruit or exclusively vegetables. They tout their “Farmer’s Choice” bag as their Best Value. Fresh City Salad Jar Bag: We all know we should eat more salads. Fresh City’s salad jars (which you can order separately, or as add-on items) contain all of the pre-portioned, organic ingredients, layered and sealed-in for freshness. They make it easy to simply empty the jar, mix up, and serve! They also include smoothies and snacks in these jars. Fresh City Meal Kit Bag: The meal kit bags are what we’re most interested in for the purposes of our Fresh City Farms review and comparisons. There are currently six different types of subscription plans: omnivore, pescatarian, meat, vegetarian, vegan, and gluten-friendly. Fresh City Farms will deliver these meal kits (as well as any add-on items you select) to your house, but many people really like the ability to pick up their orders on their way home. See below for a link to the pickup hub map- https://www.google.com/maps/d/u/0/viewer?mid=1sZAr2kOrxCl_DTItWkJj4Fcqpcg&ll=43.54672094990456%2C-79.58413760000002&z=9. Personally, I like the convenience of having that meal kit box on my doorstep (picking it up just seems too much like grocery shopping to me!) but then I don’t live in a dense urban area either – so again, I’m probably not the target market here. Finally, Fresh City currently has two brick-and-mortar locations in Toronto and is getting ready to add a third. One is a large 3,000 sq. ft. greenhouse and 2-acre farm at Downsview Park. The other is a solar-powered 3,000 sq. ft. glass greenhouse at Baka Mobile off of Highway 427. In addition to purchase options, these locations often offer workshops and events for producers/farmers to meet Fresh City customers. By using a recyclable bag pickup program, delivering on bikes, emphasizing veggie-friendly meals, and using almost exclusively locally-sourced, organic food, there is no meal kit delivery company that is more committed to the environment and their food values. Of course, this type of commitment makes it very difficult for the company to expand beyond the GTA-centric model and sacrifices some broad-market appeal in order to zero-in on that Whole Foods-type of customer. Given the fact that Whole Foods has been purchased by Amazon and has had it’s commitment to “real organic food” questioned recently, it’s possible that Fresh City will be able to scoop up some of these values-driven consumers. If the name Fresh City seems familiar to you, it might be because you saw the company on CBC’s Dragons Den. Founder Ran Goel asked for $300,000 in exchange for 10% of his company. He had a solid pitch that emphasized his wish to offer an alternative to mainstream food practices and to keep things local. The show gives you some idea of what a Fresh City Bag would look like and what their small recipe cards consist of. 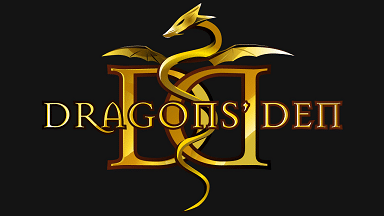 However the Dragons shied away from making serious offers when it was revealed that the company currently had relatively slim profit margins, and given the intense competition within the sector. Personally, as a longtime watcher of the show and “arm chair venture capitalist” (blatantly stole from the phrase: arm chair quarterback) I really wonder about Fresh City’s quest to be all things to be all people in terms of opening brick-and-mortar locations and diversifying away from easy-to-understand, simple meal kits. Click the link below to see the episode. Yes – if the order is under $75. In that case there is a $3.50 delivery fee. If over $75, Fresh City has you covered. Can I skip a delivery week? Yes. Login into your account and simply hold your order to that week. Deadline to cancel is 10:00 AM the date before your delivery is scheduled. Sort of. It’s the same tax rules as at a grocery store. So fresh produce and other “necessity” food items do not have HST applied, while pre-packaged items, snacks, and beverages do get HST tacked on. Yes, the minimum order is $27. Is Fresh City environmentally friendly? They are the most environmentally friendly meal kit or food delivery company that I’ve found. That said, they are able to achieve these because they are exclusive to the Toronto area. Fresh City now uses 100% recyclable packaging, and they reuse the tote bags and ice packs. In fact, they claim that they have already prevented more than One Million pieces of trash from entering Toronto landfills as a result of their reuse policy. Fresh City states on their website that the packages that food arrives in are 100% biodegradable and are 100% petroleum and chlorine-free. Finally, Fresh City delivers in fuel efficient vans or on bikes. How do I return my tote bag? Fresh City Farms charges a $6.50 deposit on their tote bags if not returned within 100 days of your food being delivered. You can get that cash back if you return the bags before the one-year mark. In order to return the bag (and any other reusable products) simply leave it out and the Fresh City team will pick it up when they drop off your new order. You can also drop off totes and reusable items at pickup hub. Does all of Fresh City Farm’s produce have organic certification? Technically… no. Practically – yes. Here’s the thing, the small local growers that Fresh City sometimes uses don’t have the size to warrant going through the certification process. Consequently, Fresh City works with the grower to ensure that the produce is grown without chemical or synthetic fertilizers. The other exception to the certification rule is when there is no local soil-grown alternative, Fresh City does occasionally use pesticide-free hydroponically grown items (which even though are grown organically, are not eligible for certified organic status) in these instances. Are all your produce and products local? Almost all. Again, while all meal kits are making real efforts to use local sourcing (and do to a large degree) Fresh City stands out in its commitment to this principle. Certain items like fruit and out-of-season veggies are brought in from abroad. Fresh City states that their goal “is to keep the bag around 70% local on average”. For folks that are 100% committed to the idea of the local diet, Fresh City emphasizes their “Local Only Bag” that obvious is made up exclusively of produce grown right in Ontario. Finally, I think many people in this niche would find it worth mentioning that Fresh City makes a special effort to work with and recognize co-ops, non-profits, and fairy trade certified suppliers. Here’s a few random Fresh City recipes that I pull off the net. If you live in the GTA and place a high value on the idea of buying locally-grown, organic food – then Fresh City is right in your wheelhouse. I like the idea of the returnable tote bags, and the variety of different select-and-deliver options available. If on the other hand you put more emphasis on meat-eating meals, just want fresh produce (as opposed to fresh PLUS organic and local), and want your food kept cool in an insulated box, then I would recommend checking our our Hello Fresh Review or Chef’s Plate Review.